If you bought a few cases of high-end wine from a leading merchant and found it undrinkable, what would you do? Would you expect your money back if wine you bought at auction turned out to be fake? And how about if the company you stored your wine with went bust – would you have a claim? The starting point when establishing your position is the UK Sale of goods Act 1979, as amended by the Sale & Supply of goods Act 1994 and the Sale and Supply of goods to Consumers Regulations 2002. basically this creates an implied term, in any contract for the sale of goods, that the wines must be of satisfactory quality and fit for purpose. As fine wines escalate in price and issues of condition, authenticity and provenance come under growing scrutiny, we look at some common complaints and answer your most pressing queries. In 2000, you bought several cases of top grand cru and premier cru Chablis from a well-known wine merchant. On opening the bottles over the past year, you found they were all prematurely oxidised and undrinkable. What can you do? Summary The law says that goods you buy must be of satisfactory quality which include fitness for purpose, but a claim must be made within six years. If the wine is prematurely oxidised and undrinkable, you are entitled to a refund from the retailer for up to six years. The retailer may be able to claim that you accepted the wines but, in that case, you would have to have had a reasonable opportunity of examining them within a reasonable time. The sooner the problem is discovered and reported the better, because apart from cases of mistake, fraud or concealment, there is no ‘reasonable opportunity’ period over and above the six years. If you happen to be a barrister, you could try to argue that there was some form of warranty that the wine was good to last 10 years. What is a minefield for the customer is a playground for the lawyers. What’s your remedy if you buy a case of wine and, after storing it for several years, you bring a bottle up from the cellar and find that it’s corked? By accepting some wines, ie, the good bottles, you do not lose the right to reject the affected wine or wines. If a suitable replacement is impossible, you should be offered a replacement wine on a like-for-like basis (and not simply the cheapest and most basic). You buy wine at auction and the contents of the case are different from the lot number description? What is your redress? Summary You are entitled to receive what you bid for and, if you don’t, you can return the items and obtain a refund. Any wine you buy at auction must be the same as described, either by the seller or in any written description. The auctioneer’s terms and conditions should also be quite clear that you are entitled to return the items if you haven’t received what you bid for at auction. The contract for sale is between the owner of the goods and the bidder, not the auctioneer and the bidder, so if the seller at auction is a private seller (ie, not acting in the course of a business) you may also be able to sue for misrepresentation. What’s the remedy if you buy wine at auction and the contents of the case turn out to be out of condition or corked? Summary You are normally entitled to return defective goods but you may be caught by the auction house’s ‘wear and tear’ disclaimer. There is an implied term that the wines are of satisfactory quality and fit for purpose. You may lose your right to claim though, if any defect is specifically drawn to your attention or where you examine the goods and the problem would have been apparent on a reasonable examination of the sample. Catch-all catalogue descriptions and/or inspection of the wines could undermine your chances of a successful claim. 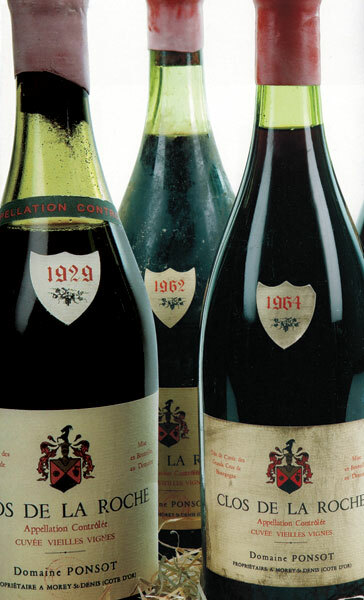 Christie’s says that ‘If the wine has any fault that might be connected with previous poor storage – ie, loss of colour, oxidised or otherwise out of condition, we would consider each example on an individual basis. This would not apply to corked wines which are always at the risk of the buyer.’ In other words, you’re out of luck – unless you can show that the corked wine was part of a batch problem. The response from Sotheby’s was similar. What redress do you have if you buy online and your wine is not delivered or damaged during delivery? Summary You have the right to return the goods and claim a refund. If your wine is not delivered and delivery was part of the agreement (as distinct from an agreement to collect it yourself), or if your wine is damaged, then a breach would entitle you to a refund. If the purchase was made with a credit card, you may also have a claim against the credit firm under section 75 of the Consumer Credit Act 1974 (CCA 1974) provided that the cash price of the wine is over £100 but not more than £30,000. What happens to your wine if the merchant you bought from, who is also storing your wine, goes bust? Summary It all depends on where and how your wine is stored, but you should be able to recover your wines if you take the right precautions. Decanter’s January 2014 issue (‘Investment Analysis’) detailed an account where the customer’s wines were stored with a merchant who went bust. Since there was no indication of which wines belonged to which customers, the customer lost his wine. Not only should you store your wine with a reputable merchant, but you should also ensure that the storage method determines your right to ownership. Your wine should be stored separately from the wines belonging to the merchant. It should be given a warehouse rotation number – a unique reference number that relates directly to the stock kept separately for you under the wine merchant’s customer account code. Ask your wine merchant for a letter confirming this. You buy wine at auction and you discover (or have a well-founded suspicion) that there’s something not quite right about the wines and they may be fake. What can you do? Summary If the wines are not as described, you have the right to return them and obtain a refund. The goods must be the same as described and you have a remedy under the Sale of Goods Act if they’re different. In addition, you should also be able to claim under the auctioneer’s authenticity warranty. If the seller is a private seller, you may also be able to sue for misrepresentation. The time limit of six years set out in s.32 of the Limitation Act 1980 does not start to run in cases of fraud, concealment or mistake, until the fraud is discovered (or could with reasonable diligence have been discovered). If a seller passes off the contents of the bottle with a genuine label but the wine inside is fake, that would be fraud. In this case, the six-year limitation period would only start when the fraud was discovered (unless it could have been discovered earlier with reasonable diligence). You buy a wine and then find out you could have bought it cheaper elsewhere. Can you get a refund? Summary The simple answer to this question is caveat emptor, or buyer beware. There is no statutory duty to sell wine at a particular price and consequently no corresponding right to a refund should you find that you could have bought the wine cheaper elsewhere. Price transparency today is greater than ever before, and with internet search engines and sites such as Wine-searcher.com, including the subscription Pro Version, you can easily compare prices at the click of a mouse. Be careful, however, to confirm prices stated with the wine merchants listed, as there may have been changes, or the price quoted may not include VAT, or its equivalent.